Marija (Mari) Kovandzic is a medical doctor, Yoga teacher, and an interdisciplinary researcher and author in social medicine. So far, her work has contributed to better understanding of dynamics of primary healthcare and of access to it. Mari’s current interests and explorations predominantly revolve around communities of innovators and health-makers, in the context of resistance to de-humanised technologies of care. Simon Mills has been a leader, writer, researcher and practitioner of herbal medicine since 1977. He is now Project Lead for a DH research project Integrated Self Care in Family Practice at two large NHS practices. He set up innovative postgraduate programmes in complementary health care at the University of Exeter, integrated health at Peninsula Medical School, and the first MSc in Herbal Medicine in the USA. He is Managing Director of SustainCare Community Interest Company, a non-profit body that is integrating a new evidence-base and educational program for the use of plant remedies with other user-directed approaches to self care. David Balen is Managing Director of Balens, one of the largest Independent Insurance Brokerage Firms for Health and Well-being Professionals in the UK and the ROI and a 3rd generation Family business. 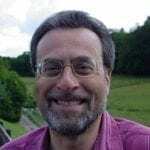 A trustee of 3 Charities related to CAM, David is passionate about the benefits of Natural Medicine and is seeking to facilitate Meta data analysis regarding its benefits. He regularly lectures and writes journal articles on Insurance and Risk Management.